Deaths from maternal causes represent the leading cause of deaths among women of reproductive age in Ethiopia. Experience from other countries show that two conditions are needed to reduce maternal deaths: Staff should be able to carry out comprehensive emergency obstetric care (CEOC), and these services should be available to and used by the pregnant women. The vision of the Reducing Maternal Mortality project is to improve maternal health and make large decline in maternal mortality. 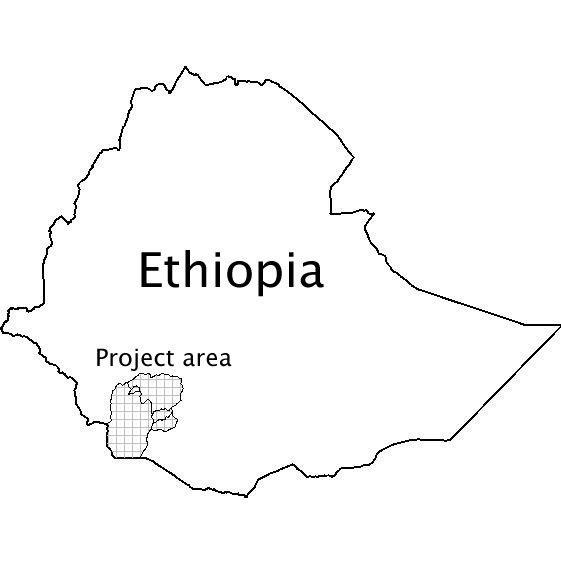 The target population for this project are pregnant women in south-west Ethiopia (se map). A major problem in rural Ethiopia is the lack of trained health personnel. Our project represents the first attempt train non-clinician physicians on a larger scale. We therefore expect to learn important lessons from this work, that later can be expanded to other regions in Ethiopia. During the fist six months of 2009, ten health officers, ten anaesthetic nurses and ten scrub nurses received training at Arba Minch Hospital. The attached file shows an outline of the aim and curriculum of our training programme. We are reviewing the operations done by the staff training under our programme. We shall post these results on this web site soon. Over the next moths we shall also post some of the lessons learned from our training programme. The AMH- Curriculum in Emergency Obstetrics and Surgeryshows an outline of the aim and curriculum of our training programme. We are continously reviewing the operations done by the staff training under our programme. Please read the updated report here (November 24, 2009).